What began as a fire in a bakery became the Great Fire of London, raging for four days in 1666 and leaving most of the city’s inhabitants homeless. 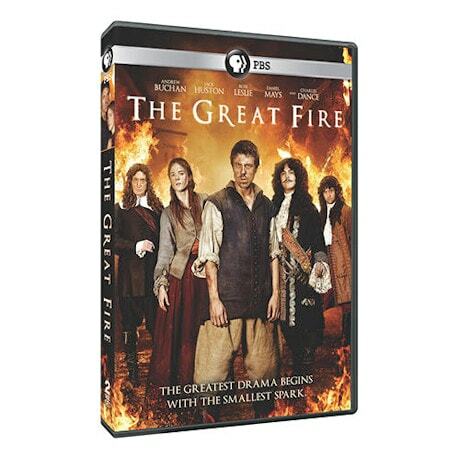 Seen on PBS, this British miniseries brings history to life through the eyes of the people who were there including Thomas Farriner (the King’s baker), King Charles II and Samuel Pepys. With Andrew Buchan (Broadchurch), Jake Huston (Boardwalk Empire), and Charles Dance (Game of Thrones). 4 hrs, 2 DVDs, SDH.